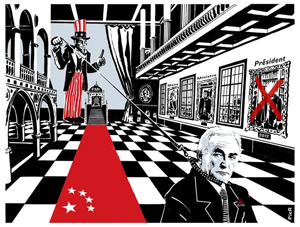 Last week Dominique Strauss Kahn (DSK) seemed to be on top of the world: he was high in the French polls and got the IMF's approval to reform the international economical control system which is the ultimate aim of his life as an economist and political man. However he could now be embarrassed since he is under investigation as IMF managing Director for both nepotism and abuse of power. These pieces of information were revealed by the Wall Street Journal. - “An incident which occurs in his private life”: abuse of power? It was recently revealed that DSK had an adulterous relationship with one of his former employee in charge of Africa, Piroska Nagy, in January 2008. Rather embarrassing since both are married... 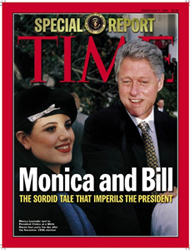 But both were consenting adults. DSK confessed his fault, supported by both his mistress and his wife and continues to claim he did not abuse his position. He sent an email to the IMF staff to apologise for his "error in initiating this relationship" with one of his employeesy. Despite the attacks he continues to work as hard as ever since the IMF cannot afford to be disturbed by personal issues at this crucial time. In addition to this, DSK had been accused of nepotism. Another investigation is on its way. In fact he might have influenced the appointment of an intern, one of his protégés in the IMF’s research department, Emilie Byhet. Emilie Byhet, 26, studying at Sciences-Po she was a great supporter of DSK during the French presidential campaign and it seems that DSK managed obtain for her an internship excluding other applicants who would have been more qualified for the job. Accused of nepotism, DSK has had to prove his sincerity and his integrity one more time. As we finalise this article, DSK has been proven innocent for both affairs but he is not totally out of trouble since his reputation may have been damaged. - Conspiracy or bad luck? 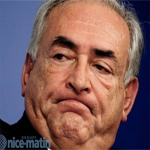 Is DSK victim of his appetite for women or is he victim of some kind of conspiracy? It is well known that DSK has always loved women and that this could be the reason why he has not reached the highest level in his party. In 2007 when DSK was nominated at the head of the IMF, Jean Quatremer, a journalist working for Libération wrote on his blog: “The only serious problem with DSK is his relationships with women (…) Too insistent, he comes often close to harassment (…) And yet the IMF is an international organisation where Anglo-Saxon rules apply. Only one inappropriate behaviour, one too precise allusion and he will become the quarry of medias.” It seems that his predictions were absolutely right. However this affair may be a little bit more complicated. In fact there are some strange points: First the press had been informed very late since the relationship between DSK and Nagy ended in January. In July Aleksei Mohzin, a Russian representative asked for these investigations with the support of the American delegate. This is quite strange given that Russia was strongly opposed to DSK’s appointment and that Washington disagreed with his views on reforming the international economical control system. In addition, the medias were informed right in the middle of the economical crisis at the time when DSK could reform it. 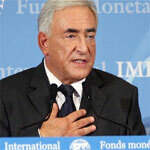 Is there a conspiracy to dethrone DSK as IMF managing director? 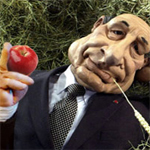 So what do you think: Is DSK victim of his appetite for women or of his interventionist views? Is it really so unusual to have a sexual relationship with one's colleague and to pull strings for one's connection? It is obvious that what he has done made him vulnerable to attacks but who had most to gain from his fall? How will this affect his future in French politics.